Foothill Ranch, Calif. (January 20, 2019) – The third round of the Monster Energy® AMA Supercross, an FIM World Championship resumed action in Anaheim, California at Angel Stadium, with a triple crown racing format with combined scoring from three main events on the night replacing the typical single main event format. 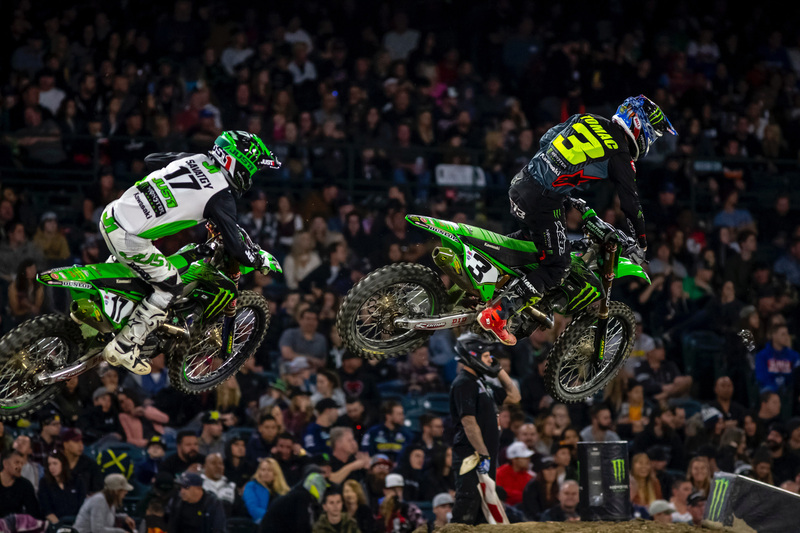 It was Monster Energy Kawasaki’s Eli Tomac who continued to find success in the format finishing the night on the podium in third place overall in the 450SX class and closing in to only two points back from the series points leader. 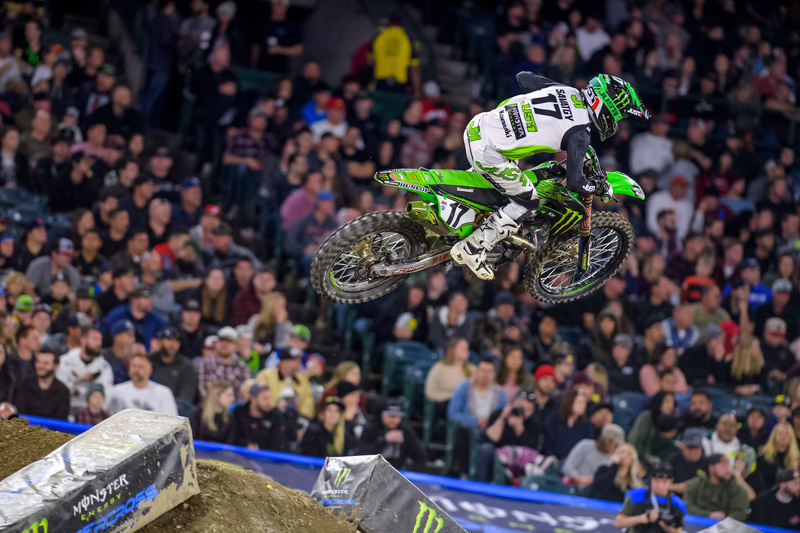 Monster Energy/Pro Circuit/Kawasaki rider Adam Cianciarulo finished the night in fifth overall, and only sits eight points back of the leader in the 250SX West Region Point Standings. 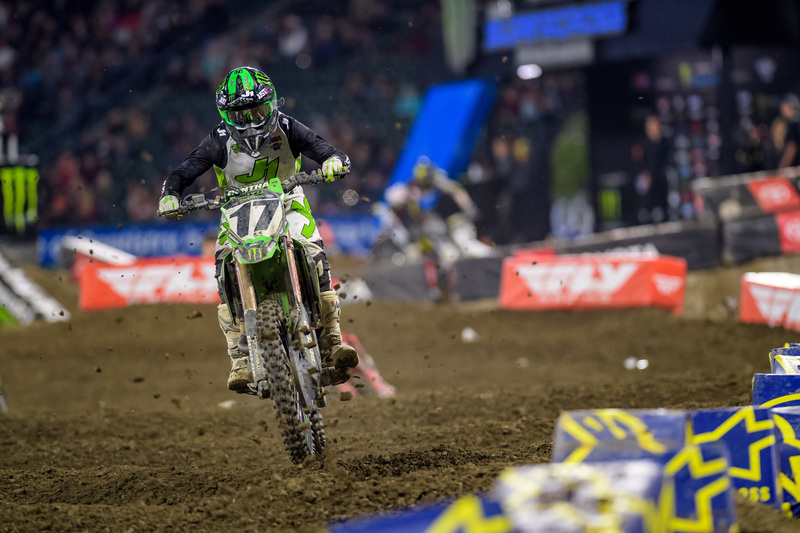 Coming into the night, Tomac had never finished outside of the top five in any of the nine Triple Crown main events and on Saturday evening he kept that streak alive by going 4-4-1 for third place overall. Grabbing the holeshot and leading every lap on his way to the win in the third main event marks the third race win for the Cortez, Colorado rider in this racing format. Since the inception of the Triple Crown format in 2018, Tomac has earned 94 out of a possible 104 maximum championship points available in the Triple Crown series, making him currently the most successful Triple Crown racer. Consistency was the key coming into the weekend for the No. 17 Monster Energy Kawasaki of Joey Savatgy. After an up and down start to the season, Savatgy, who is known as a good starter, looked to use the Triple Crown format to his benefit to achieve the results he has been looking for. 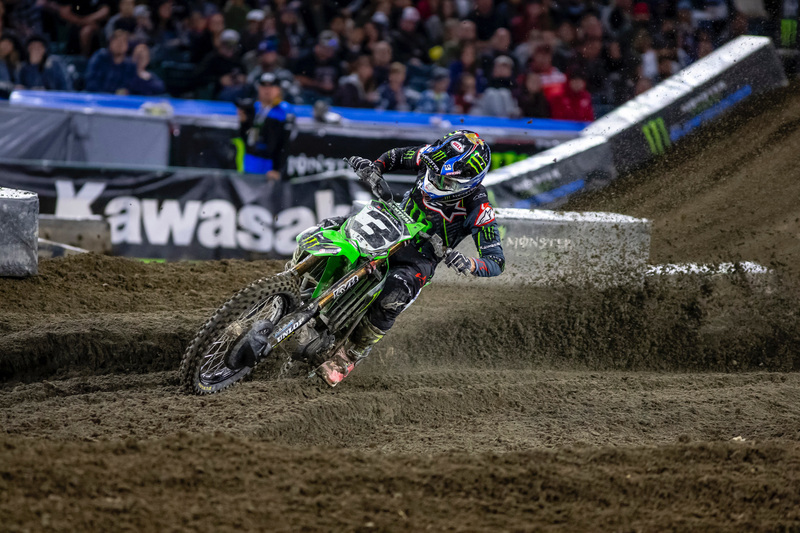 In the three main event format, Savatgy was able to surge out front in nearly all three races, which helped him score 8-13-8 results to capture eighth overall.